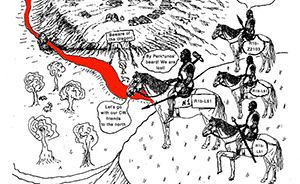 I am not a fan of continuity theories – that much should be clear for anyone reading this blog. However, most of such proposals’ supremacist (or rather fear-of-inferiority) overtones don’t mean they have to be wrong. It just means that most of them, most of the time, most likely are. While reading Tommenable’s comments, I thought about a potential alternative model, where one could a priori accept an identification of North Pontic cultures as ‘Indo-Slavonic’, which seems to be the Eastern European R1a continuist trend right now. NOTE. To accept this model, one should first (not a posteriori) accept an Indo-Slavonic linguistic group on theoretical grounds, of course, and take the steppe ancestral component (and not archaeological data) as the most meaningful aspect to consider for language expansion and exchange (which we know is not the most intelligent approach to cultural or language change). That the community of R1b-L51 lineages was in fact an isolated group , and not a western one – i.e. 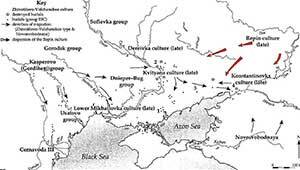 to the east within the Volga-Ural groups, or maybe to the south within the North Caucasian groups . 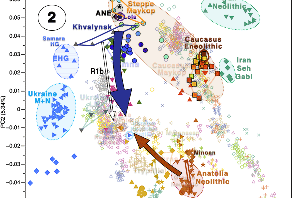 That the R1b-Z2103 community was a huge one dominating over much of the steppe, from the Dnieper area to the Volga-Ural region (where we know they were). 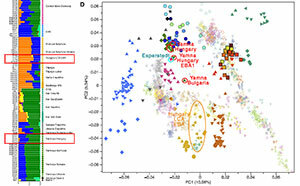 That R1a-M417 subclades (and especially subclade R1a-Z645) with steppe ancestry, as found in Corded Ware migrants,were only found in the North Pontic area (i.e. in Sredni Stog) during the fourth millennium (until at least 3300 BC, when Yamna substitutes it), and did not form other communities in the forest-steppe or Forest Zone (from where Corded Ware eventually expanded), as it is quite likely. 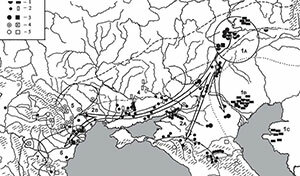 That both the R1b-Z2103 and R1a-Z645 communities shared obvious genetic connections (whatever they were) around the Dnieper, that could justify a common, shared language. Only then, if a widespread Graeco-Aryan-speaking community happened to be spread from west to east in the Pontic-Caspian steppe, with close contacts with North Pontic cultures, and having an isolated Northern Late PIE community somewhere different than West Yamna, it could leave for me a reasonable doubt of a cultural connection (maybe “Indo-Slavonic” in nature) of the North Pontic steppe. 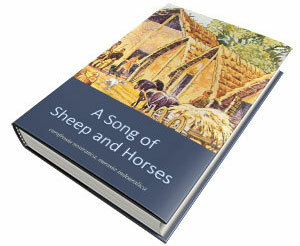 But then we would probably be stuck – yet again – with some sort of cultural diffusion event, impossible to demonstrate. 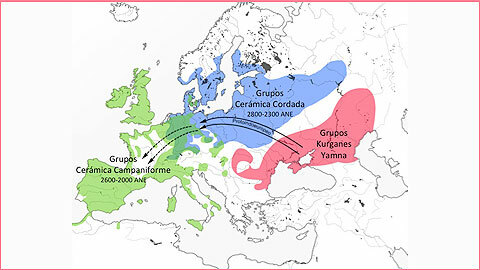 Since it is known (in Linguistics, and also in Y-DNA lineages, due to the early expansion of Z2103 subclades) that Graeco-Aryan groups separated early, this model would not be impossible. Also a priori in favour of that model would be the early expansion of a (Northern IE-speaking) Pre-Tocharian population to the east. On the other hand, from an archaeological point of view, the group reaching Afanasevo seems to have expanded from Repin, just like the community expanding Yamna to the west of the Dnieper. Graeco-Aryan is a Late PIE dialect, and Late PIE guesstimates are more recent than that. Dialectal separation within a Late Proto-Indo-European language must have happened late, gradually, and in close contact, allowing for common innovations to spread through dialectal groups. 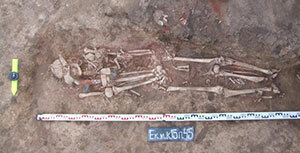 It does not make sense in terms of prehistoric cultures, since there is no direct connection or migration among steppe cultures but for the Novodanilovka and the Yamna expansions. Indo-Slavonic is only supported by a handful of linguists, and not in the way or timing described in this model. 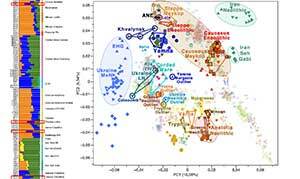 Although I am not an expert in Uralic languages, their spread over North-Eastern Europe during the Eneolithic and Chalcolithc was taken as granted by everyone before the realization that N1c lineages arrived quite late to the area. 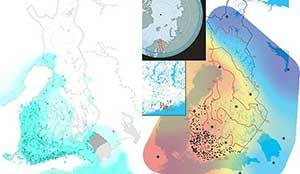 Migration Yamna -> Corded Ware -> Bell Beaker as claimed by articles published in Nature (2015). From materials of the UAB. 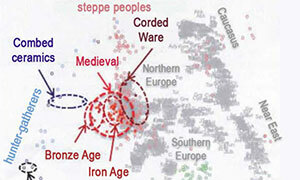 If you think about it, if most modern Slavs were mainly of R1b-L23 lineages instead of R1a-Z645 (a replacement which, as it is clear know, is the consequence of a simple resurge of previous lineages in East-Central Europe, coupled with a later gradual replacement through founder effects, so no big migration history here), and Finnic speakers were mainly of R1a-Z645 lineages (whose replacement by N1c lineages seems also the consequence of quite late consecutive founder effects), I doubt we would be having this reticence to accept sound anthropological models. 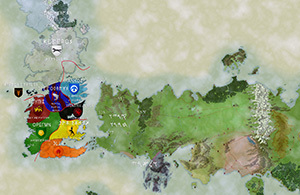 So, we are speculating here for the sake of an unnecessary, naïve compromise…Just hoping to find some common ground to move on, now that the picture is clearer for everyone.